Classical design & reliable desktop SLA 3D printer with multi-color/type resins. What is the cost of ownership of this printer? I've avoided SLS printers due to the cost and toughness of the materials. You can have my factory sealed one for the price I paid + shipping if int'd. Sorry, I meant what the overall cost will be to run prints over and above the base price. Like the FormLabs; they just assume give away their printers because materials alone will pay for a printer in no time. But as long as people are willing to buy the printer and pay for those premium trays, polymer, and processing and cleaning supplies, they're happy. 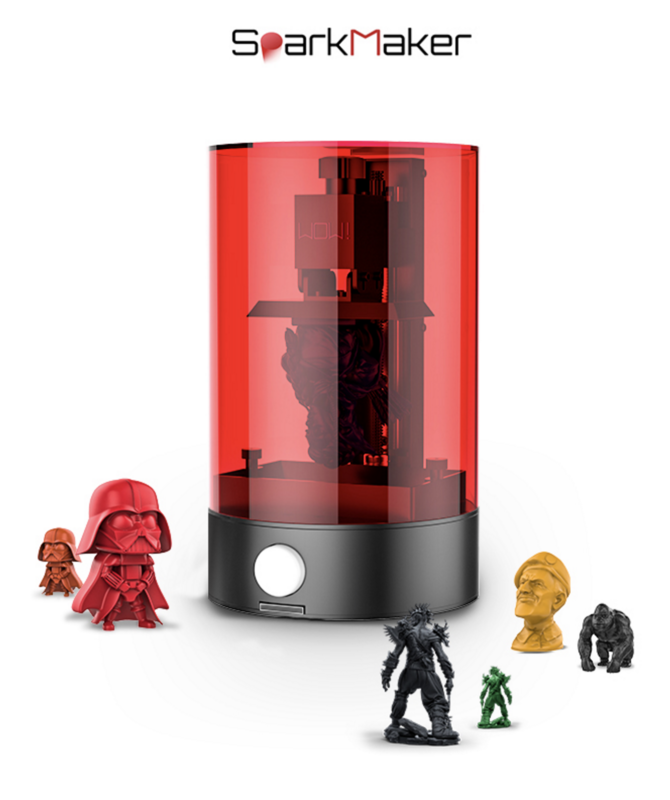 A FormLabs printer is not cheap to own if you actually use it as you well know. Example: My Cube 3's cost me about 2 cents/gram for filament. My overhead costs are now $0.00 plus electricity. All in, the printer is under $200.00; eBay, LokBuild, Bowden tube fixes, and donation to eychei). Therefore my cost of ownership is just over 2 cents/gram printed. Amortization depends on the duty cycle and life of the printer. Here too the "corrected" Cube 3 white printer has been printing for well over a year now. So what I am asking is what is the cost of operating this particular SLA printer to get an idea if the cost is coming down yet on these machines. For this particular one it's quite cheap, VAT films cost about $15 per 3 pcs and resin is way cheaper than Form2. Form2 is way more professional and as such, resins and trays are higher in quality as well as the results and reliability you get. In a Pro environment Form2 pays itself quite quickly.